We provide consultancy & Research Partnership across area of our presence i.e. 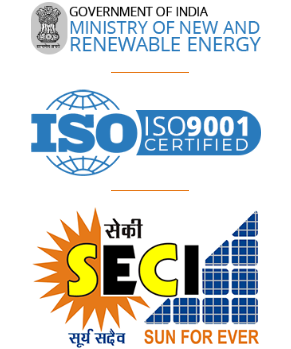 We have team of experts comprising diverse background and having cumulative experience of 35 years in the field of Solar and Biomass energy. Boond uses its extensive ground knowledge and experience to partner with Universities and Industry bodies to conduct energy related research and analysis in remote rural communities. These research projects help impact policy, strategy, academia and further innovation in the field of decentralized solar energy. Green Bank study aims at examining the main sources of finances, and the types of financing instruments that appear to be the most in need of scaling-up in order to achieve the energy for all and deal with the biggest challenge that lies ahead of clean energy providers - access to finance at end user level.Only 10% of one the biggest government scheme in solar energy sector caters to off - grid Solar Applications, which enunciates the issue of finance access to end user for decentralized models. The ultimate aim is to propose to form a financial body, which in its own capacity is a one-stop solution to the issue of finance access in decentralized clean energy sector. In collaboration with Prof. Johannes Urpelainen & Semee Yoon from Columbia University BOOND undertook a research study to understand the commercial viability of sales of solar products and services in poor communities. The healthcare sector is becoming increasingly dependent on energy sources to effectively administer healthcare delivery. To evaluate the impact of better energy access in the field of healthcare sector, in rural counter parts of India BOOND in undertaking a research study on RCT basis with PHCs in Udaipur.